Size: 12.6 x 10 inches. 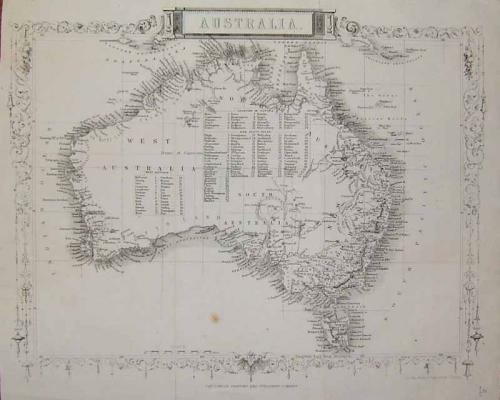 Title: 'Australia', engraved by Rapkin. There is great detail along the coasts and the unexplored interior is filled with a table of the counties. In very good condition with only a couple of small spots and edge tears.